The World Meteorological Organization (WMO) defines a drought as a sustained, extended deficiency in precipitation. Assessment of droughts is of primary importance for freshwater planning and management. This requires understanding of historical droughts as well as impacts of droughts during their occurrences. However, the onset and the cessation of a drought are difficult to determine. Further, the impacts of a drought increase slowly, often accumulate over a considerable period and may linger for years after termination. For this reason, drought has been termed as the creeping disaster. Droughts are among the most expensive disasters in the world, the negative impacts of which span economic, social and environmental aspects of the affected society. It is even more difficult to quantify the cost of droughts because most of the effects are indirect. In the wake of increased droughts, more accurate, localized and contextualized drought mitigation strategies are on the agendas of many researchers and policy makers globally. Internet of Things (IoT) and its associated technologies (especially the Wireless Sensor Networks, big data analytics and artificial intelligence) play a catalytic role in monitoring droughts through collecting and disseminating information in real-time. For instance, remote sensing of the climatic conditions, decision support tools and information systems, can be designed to guide users in the planning and implementing micro-level (say, a village) adaptation processes. Artificial Intelligence (AI) refers to the computing paradigm that aims to develop solutions that mimic human perception, learning and reasoning to solve complex problems. Three AI techniques stand out when it comes to modeling droughts are: (1) Fuzzy logic (through Fuzzy Cognitive Maps) that can be applied in modeling the holistic indigenous knowledge on droughts; (2) Machine vision that has found its application in automation of visual weather lore - a common source of drought knowledge among small scale farmers; and (3) Artificial Neural Networks(ANNs). For decades, pattern recognition techniques and autoregressive integrated moving average (ARIMA) models for statistical time series have been used for drought forecasting. ANNs provide one of the nonlinear non-stationary alternative models for drought forecasting. ANNs' flexibility enables modeling of extremely complex domains such as droughts. They can also be used to solve problems with nonlinear/unknown multivariate and less controlled environments. The greatest strength of ANNs however is its ability to weave together various mathematical components capable of tackling very complex physical systems such as droughts. Hence, their ability to predict future droughts. 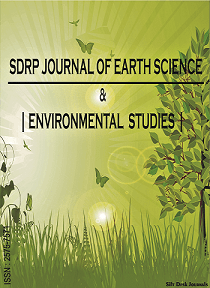 In this Research Topic, we are seeking articles describing cutting-edge and high-quality original and unpublished research concerned with research and development in applying IoTs (and its related technologies) in: (1) understanding the causes of droughts; (2) documenting the frequencies and severity of droughts; (3) describing and understanding of the impacts of droughts; (4) predicting future droughts; and (5) implementing drought responses, appropriate mitigation, and preparedness strategies. IoT technologies of interest include big data analytics, artificial intelligence, and wireless sensor networks, as well as other technologies driving Internet of things and the Fourth Industrial Revolution.